Our website has been updated with a fresh new look and friendly options to provide information about the services we offer and how they may be obtained. I hope you will find it informative and that it will help you obtain services as quickly and efficiently as possible. 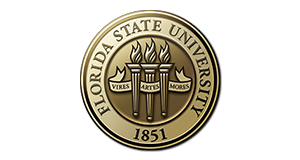 Your feedback is important to me and I encourage you to call or email the Service Center (644-2424 or ServiceCenter@admin.fsu.edu) or me (644-8136 or dbailey@fsu.edu) with any comments you have regarding service. It is your input that allows us to continually improve our services to you!